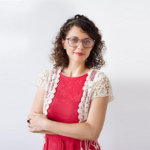 Anca Clivet, the Coordinator of the Education, Awareness & Capacity Building Unit holds a double Bachelor's Degree in International Relations and in Social Work from Babes-Bolyai Univ., Romania and a MA in NGO Management. 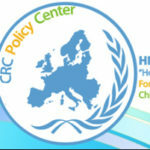 She has experience as a trainer for children and adults and she coordinates the Erasmus+ Volunteering Projects during the last 4 years which made possible for more than 30 volunteers from 10 different countries to engage in a longterm non-formal learning experience at HFC. Due to various projects that used non-formal education, she has experience in organising awareness campaigns against domestic violence, Photovoice projects for marginalized ethnic groups, empowering photography projects for victims of human trafficking, seminars on vocational counselling for youth, discrimination prevention and social-cultural support for Roma people, peer to peer mentoring and participatory projects, training of mentors to support the care leavers in the process of ageing out of care into autonomous living.